Don’t let the Easter bunny ruin your diet! Whether or not you celebrate Easter, you are definitely surrounded by Easter-themed candy at the store. Although these candies look tempting, they are not great for our health! Below is a table of the Top 5 most popular Easter candies. 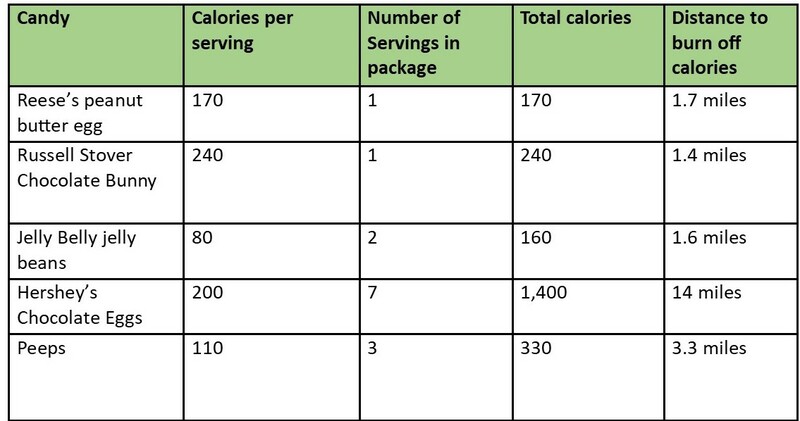 and how far you would have to run in order to burn off those extra calories! Instead of indulging on these sugary snacks, choose something that gives back to your body! 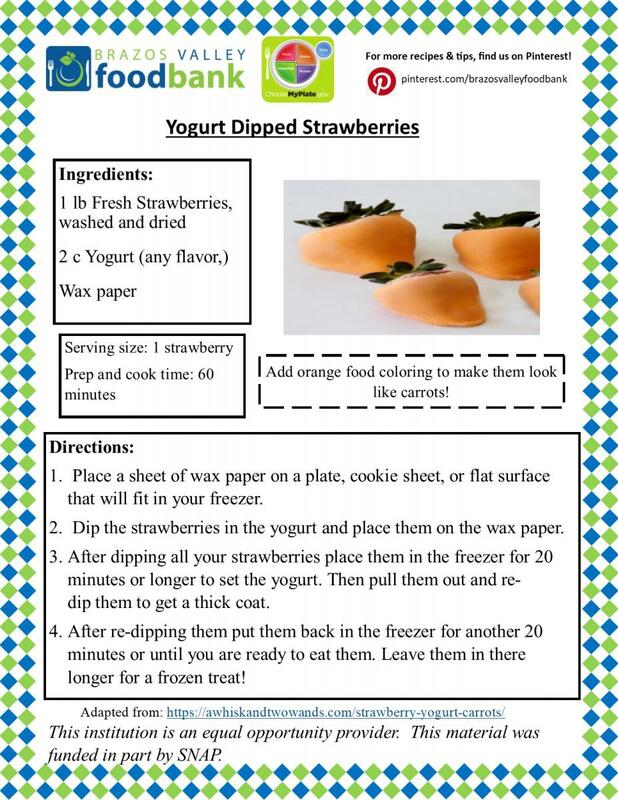 Choose a snack like yogurt dipped strawberries to avoid that Easter season sugar rush.